Parboil the pasta shells until just starting to go soft. Over a low-medium heat, fry the mince, pepper, onion, garlic, and mushrooms until the mince is cooked and the vegetables are beginning to soften. Add the Italian herbs and mix in the passata. 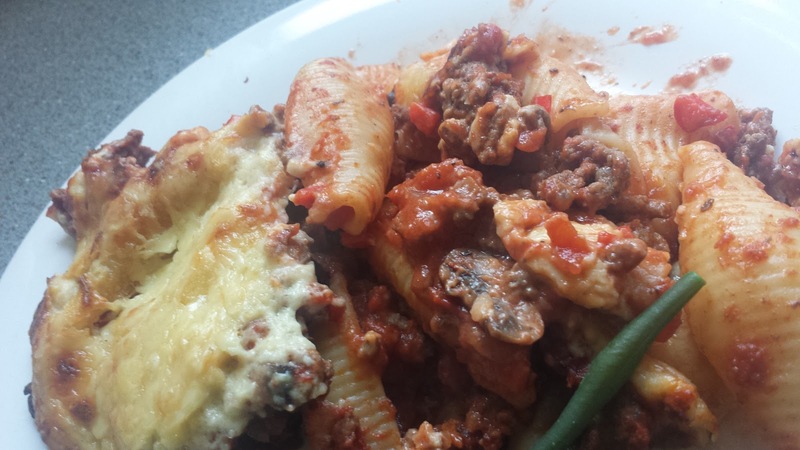 Cover the bottom of a large baking dish with the parboiled pasta, then top with the meat & passata mixture. Using a hand blender, blitz up the tin of macaroni cheese and mix with the quark. Spread this on top of the pasta and meat mixture. Finally, sprinkle the grated cheese on top and cook for 40-45 minutes until the pasta is tender and the cheese is golden and bubbling. 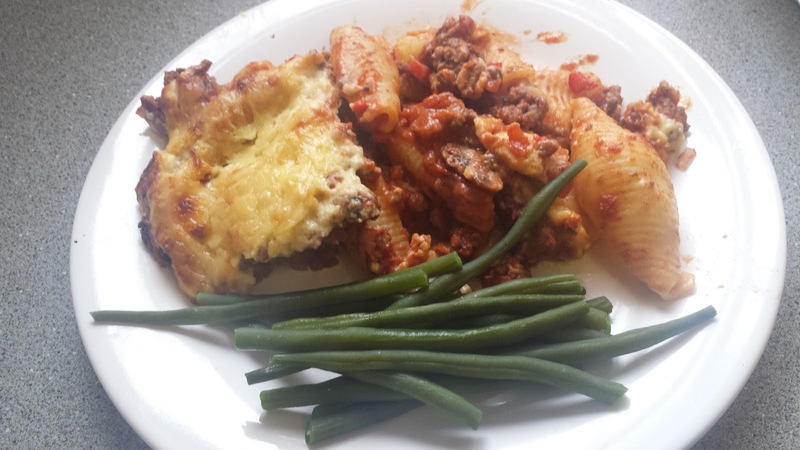 Enjoy with garlic bread or some filling veggies, or both! 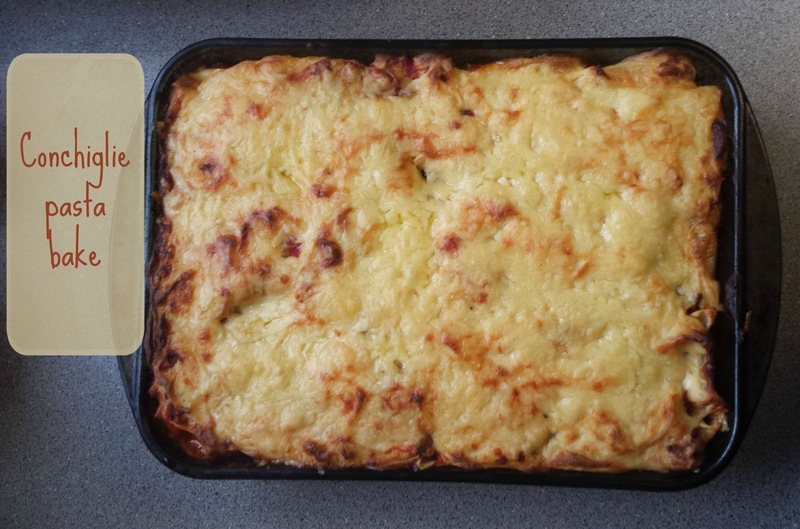 *Depending which macaroni cheese you use, but it should end up around 0.5-1.5 syns per portion if using the cheese topping as your healthy extra. Once again, I’m back to being late with our favourite five – oops! I didn’t manage to get it written up by the end of the month, and March has been super busy so I’ve barely even turned the laptop on! I’m here now though, better late than never, right? After my gain at weigh in last week I went away from group still feeling positive for the week ahead, even though I was a little annoyed at myself with my gain. I knew I had a night away coming up (which I really enjoyed, and some of my food was on plan – lots of speed food!) so I was on plan up until then, and then I was right back on it the day after I got back. I did expect a bit of a gain this week as I usually do have if I have been off plan for more than a day.